Hi everyone! This is a new type of post from me today, where I thought I'd pick one product each week that I haven't been able to put down and do a little review of them. 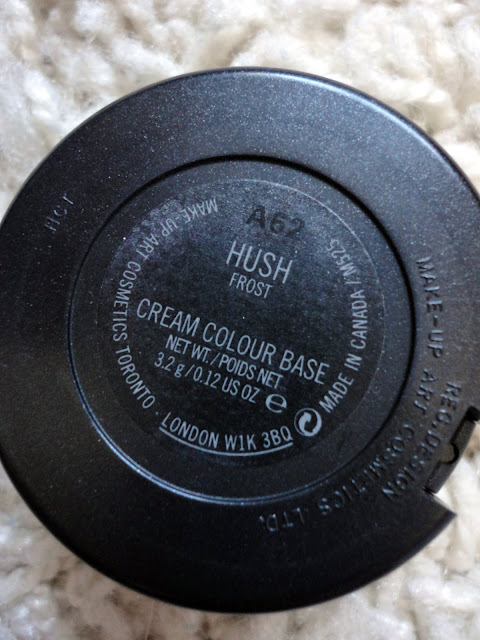 This week, my go-to product was MAC's Cream Colour Base in Hush. I saw this in a Pixiwoo/DailyMix video (link) and absolutely fell in love with how it looked! So, on my little MAC spree after Christmas, I bought this not really knowing much about it. However, this is absolutely perfect and a gorgeous highlighter/blush combo that I've been reaching for everyday this week. As it's a frost, you can see the shimmer but it doesn't look glittery at all and has a lovely gold tint running through it, similar to the MSF in Soft & Gentle (another favourite of mine!). The main colour is a pink toned coral which is my absolute favourite blush colour. I've never really been a big fan of cream cheek products but this has completely changed my opinion of them. At first, I wasn't 100% sure what to use to apply it. My fingers? A brush? I don't really like applying makeup with my fingers so I wasn't too happy about that being my only option. However, this week I tried it out with my RT Stippling Brush and it was love! You only need to swirl your brush into the product then stipple it onto the your cheekbones - I mainly focus on the high points as that's where I'd usually put highlighter anyway. Then I finish it off with a tiny bit of e.l.f Candid Coral blush on the apples of my cheeks and I'm done! 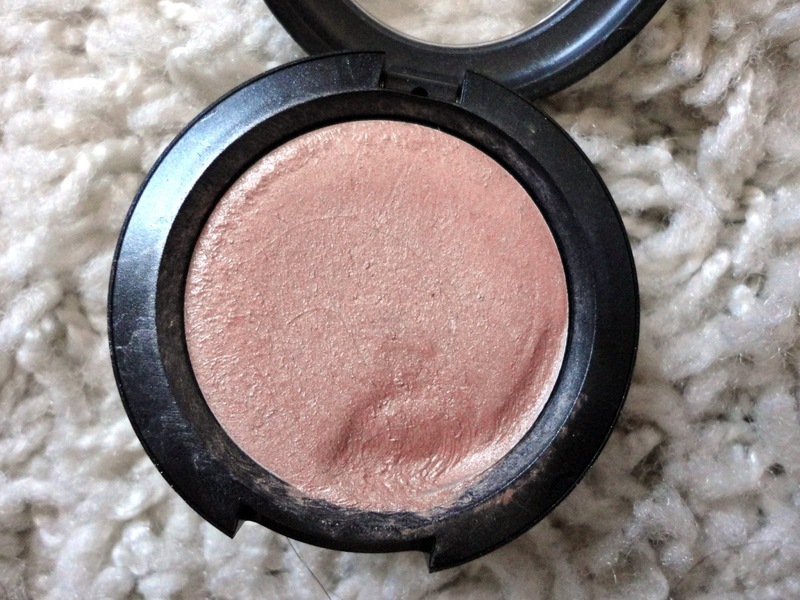 There's no need for highlighter because of the frost finish so it's a lovely 2-in-1 product which is great for everyday. 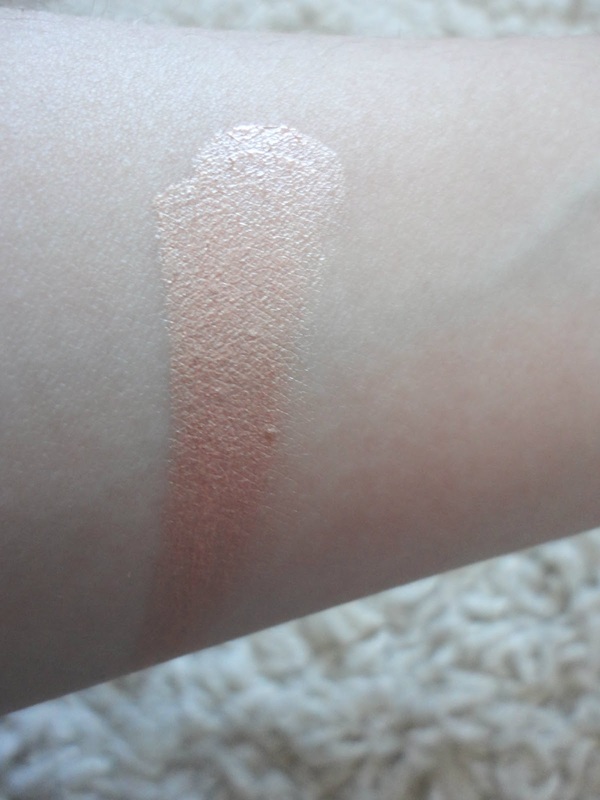 However, I did try this on my eyes as a base colour the other day and I did find it creased my shadow a little bit as I think it's a tiny bit too creamy for eyes, however I bought it for use on the cheeks anyway so I'm not too disappointed! 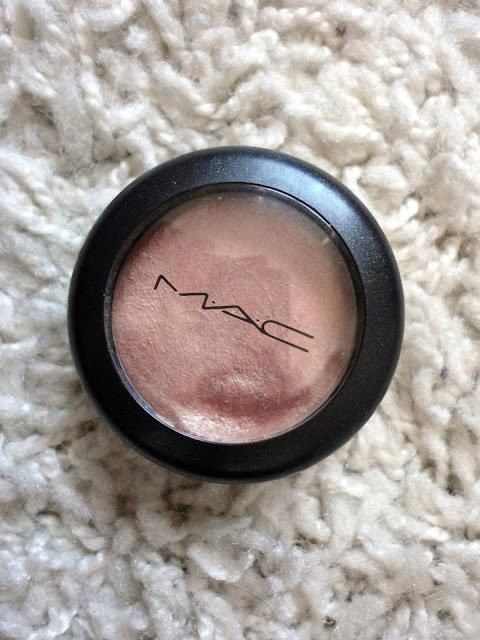 MAC only offer 5 shades of the Cream Colour Bases in the UK (Luna & Pearl are more highlighting colours, with Hush, Shell & Improper Copper offering the blush colours) so I don't really think I will get anymore in different shades. However, I love this and would 100% recommend it, especially for the summer where cream products have the better staying power! Soft & Gentle is my favourite too. :) Haven't tried any Cream Colour Bases before but Hush looks lovely.